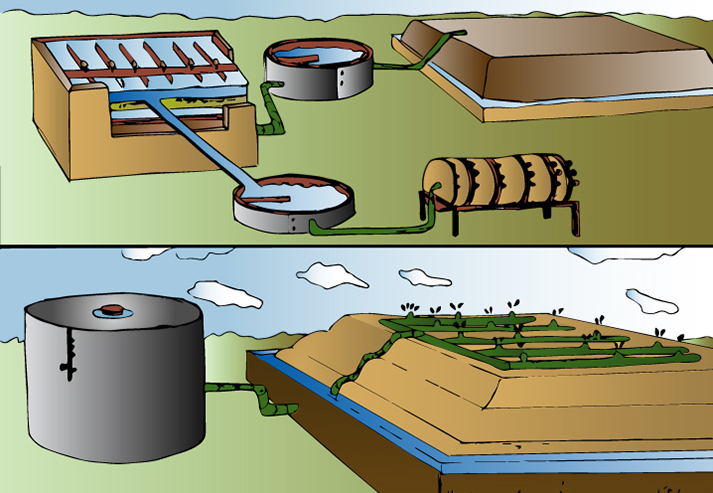 Top: Slurry tanks for sulfide ore. Bottom: Leach field for removing copper from oxide ore.
Sulfide ores are mixed with water and special chemicals creating a slurry. The slurry, when agitated causes the copper sulfide minerals to float at which point they are skimmed off the surface and eventually dried. The dried material called concentrate is then sent to the smelter.